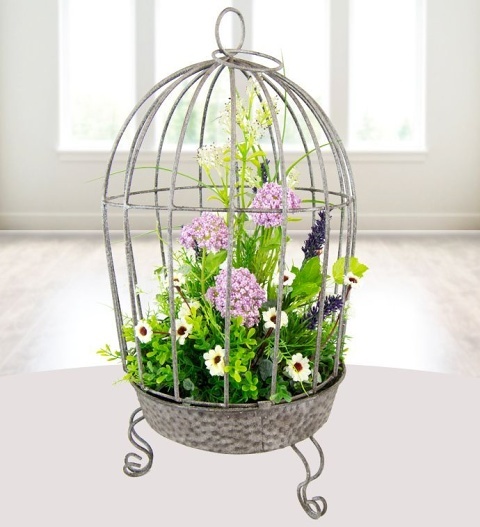 Our luxury Floral cage is an enchanting arrangement presented in a stylish free standing cage. Our silk flowers are skilfully hand-crafted by talented artists. No water needed, just admiration. Perfect for all occasions and the home, the luxury flora cage is available for UK next day delivery. The gift measures 25*25*20cm.